Scientists worldwide are warning of the looming extinction of thousands of species, from tigers and polar bears to rare flowers, birds, and insects. If the destruction continues, a third of all plants and animals could disappear by 2050—and with them earth's life-support ecosystems that provide our food, water, medicine, and natural defenses against climate change. 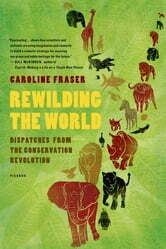 Now Caroline Fraser offers the first definitive account of a visionary campaign to confront this crisis: rewilding. 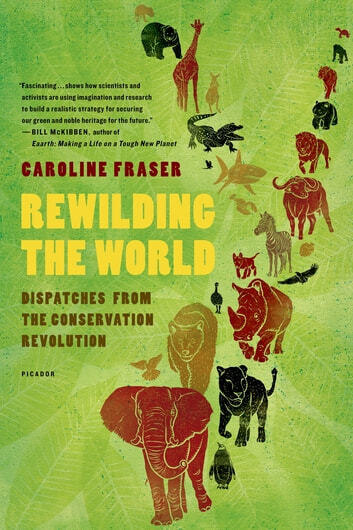 Breathtaking in scope and ambition, rewilding aims to save species by restoring habitats, reviving migration corridors, and brokering peace between people and predators. Traveling with wildlife biologists and conservationists, Fraser reports on the vast projects that are turning Europe's former Iron Curtain into a greenbelt, creating trans-frontier Peace Parks to renew elephant routes throughout Africa, and linking protected areas from the Yukon to Mexico and beyond.